Thank you for your interest in volunteering for Orono Schools! 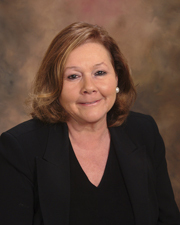 We appreciate your willingness to share your time and talents to increase opportunities for students. In an effort to continue to value and protect the safety of our schools and students, Orono Schools are requiring that all volunteers complete our simple application, read our Volunteer Handbook, and complete a background check if necessary. We appreciate your compliance and dedication to Orono Schools and its students. Adult volunteers supervising and working with students in a building on Orono Schools campus, but not inside the regular classroom setting. Volunteers are only required to complete a background check once. 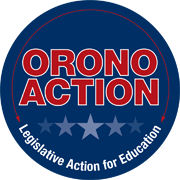 As parents, a background check will follow all children through their years at Orono Schools. However, based on administration’s discretion, certain volunteers may be required to complete an additional background check for varying circumstances. The cost for a volunteer background check is $10 through our provider Trusted Employers. If you are unsure whether or not you will need to complete a background check, please check with the staff member who is coordinating your volunteer position. Volunteers are also required to read the Volunteer Handbook. Students are able to volunteer to serve their peers at Orono. Students are required to print, complete and submit the Student Volunteer Application prior to beginning any volunteer assignment. Students may download and print the Student Volunteer Application.